Do tu think episode 8 will be better than episode 7? Who is your favorito! actor? 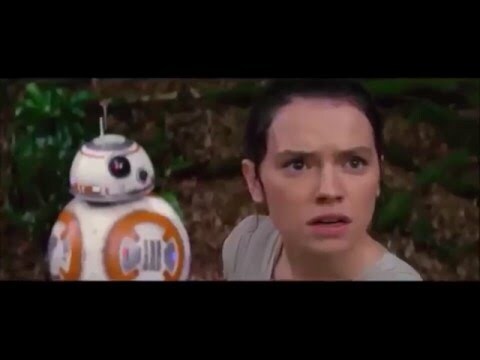 What is Rey's defining trait? Who is your favorito! villain? Has anyone read the episode 7 book? Is Han Solo really dead? 1. She grew up on a desert planet like her grandfather and father before her. 3. she is seen having a X-wing Pilot doll and a Rouge Squadron helmet,,even though its not " Red One"-Luke's code name. 5. in the final battle with Kylo/Ben Solo- they both reach for the " Excalibur- like" Skywalker blood-line lightsaber but it flys past Ben Skywalker-Solo straight to Rey- Similar to how Luke pulled it out of the Snow while being held captive from the Wampa. a pop quiz question se añadió: Who is Billie Lourd's Mother? a pop quiz question se añadió: What was Billie Lourd's Character Name?